Bentley presents its third iteration in the best-selling Momentum line. 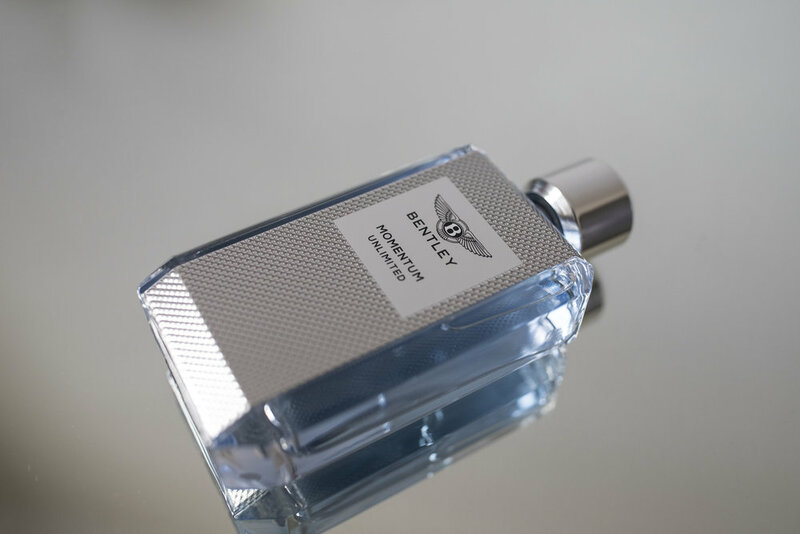 Momentum Unlimited is a fresh, sleek and modern fragrance whilst still feeling masculine and typically luxurious Bentley. Crafted from the best materials by Michel Almairac, one of the worlds most acclaimed scent designers. Unlimited is a fresher interpretation of the Momentum line with its vibrant and lighter tone. The scent consists of grapefruit and tart green apple notes to wood and leather notes when it really kicks in. Three sophisticated essences, polished sandalwood, mysterious vetiver and sensuous sandalwood make up to heart of the fragrance. A fresh modern fragrance, which enhances an already successful line. This has to be my favorite iteration yet and already in my fragrance rotation. The fragrance launches exclusively in Harrods early March 2018, then worldwide from April at Bentley Fragrance retailers.